Joc Pederson hit a second home run in as many nights to help the Los Angeles Dodgers simultaneously clinch another series win and extend their modest winning streak to three games with a 6-1 victory over the Cincinnati Reds. 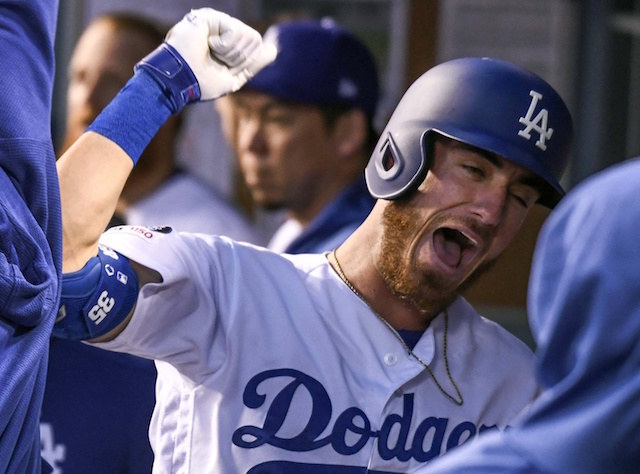 After a deep drive to right-center field in his first at-bat of the game, Pederson cleared the fence in nearly the same spot as his walk-off home run to extend the Dodgers’ lead to 3-0 in the second inning. The homer was Pederson’s eighth this season, putting him one shy of tying teammate Cody Bellinger and Christian Yelich for the National League lead. 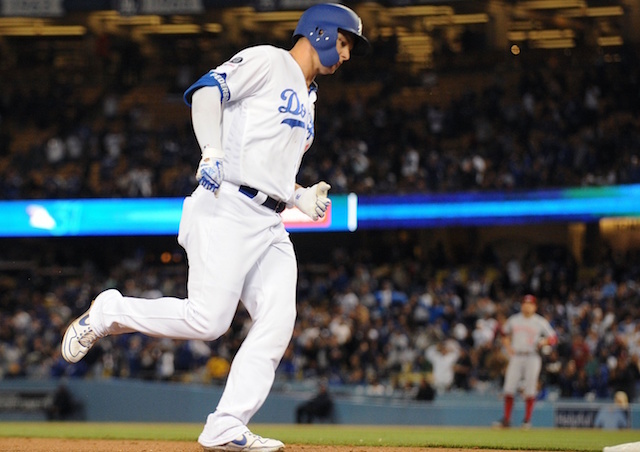 Pederson extended the Dodgers’ streak of home games with a home run to 31, which is one off tying the all-time MLB record held by the Colorado Rockies. A trio of consecutive singles by Corey Seager, Max Muncy and Kiké Hernandez brought in another run before Tyle Mahle could get out of the second inning. The hits by Seager and Muncy thwarted the Reds’ unconventional strategy of going with a four-man outfield. Alex Verdugo provided insurance in the seventh inning with a two-run double to left-center field. 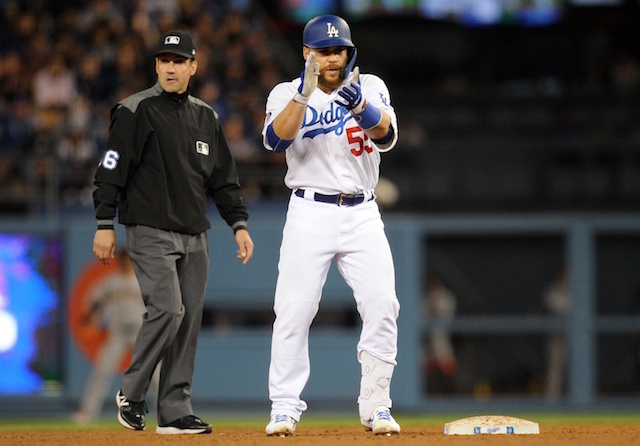 All six of the Dodgers’ runs came with two outs. They went quiet for several innings but the early lead was enough for Kenta Maeda and the bullpen. Keeping with what’s held true in much of his career, Maeda cruised his first time through the order. Mahle’s one-out double in the third inning gave the Reds their first hit and second baserunner in the game. The Dodgers were shifted for Mahle to hit the ball the other way, which was enough of a difference for his drive to land in front of Chris Taylor in left-center field. Joey Votto followed with an RBI double, but Maeda managed to limit the damage to one run. Maeda then labored to the tune of 28 pitches in the fourth inning as Matt Kemp’s double and two ensuing walks loaded the bases. Maeda benefitted from facing Mahle, who he struck out to escape the jam. Maeda went on to retire nine of the final 10 batters faced to get through 6.2 innings with just the one run allowed. 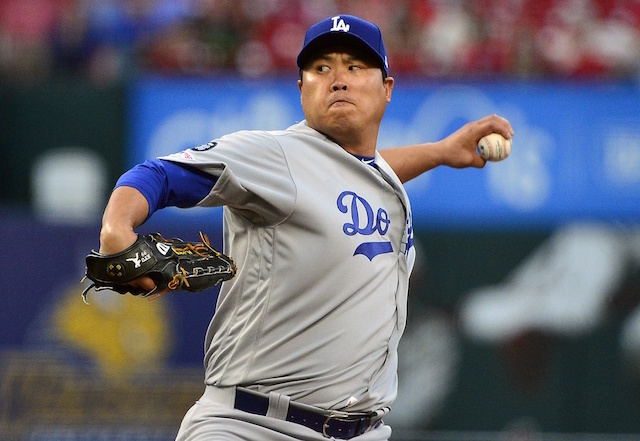 It marked the third consecutive quality start the Dodgers received. Of note, Cody Bellinger (knee) and Justin Turner (ankle and hamstring) were available off the bench but neither was called on to pinch-hit. Bellinger emerged in the on-deck circle in the bottom of the eighth inning but was called back. Dodgers manager Dave Roberts hopes to have both back in the lineup for Wednesday’s series finale.